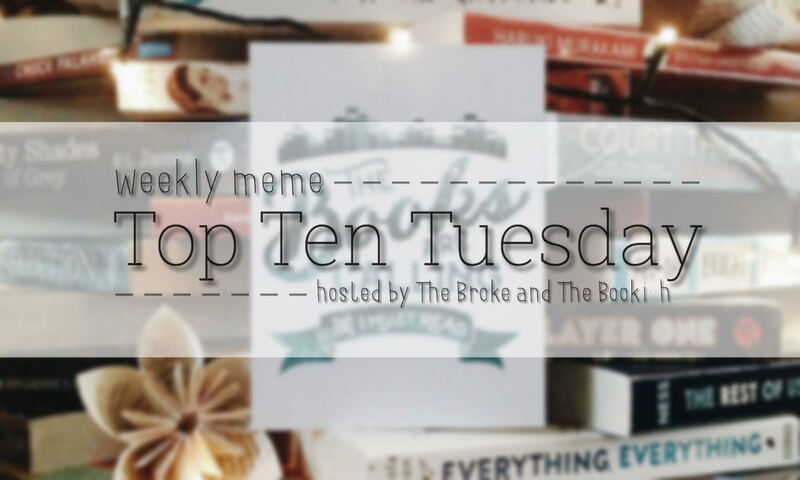 So, this week’s TTT theme is “Top Ten Favorite 2016 Releases So Far”. 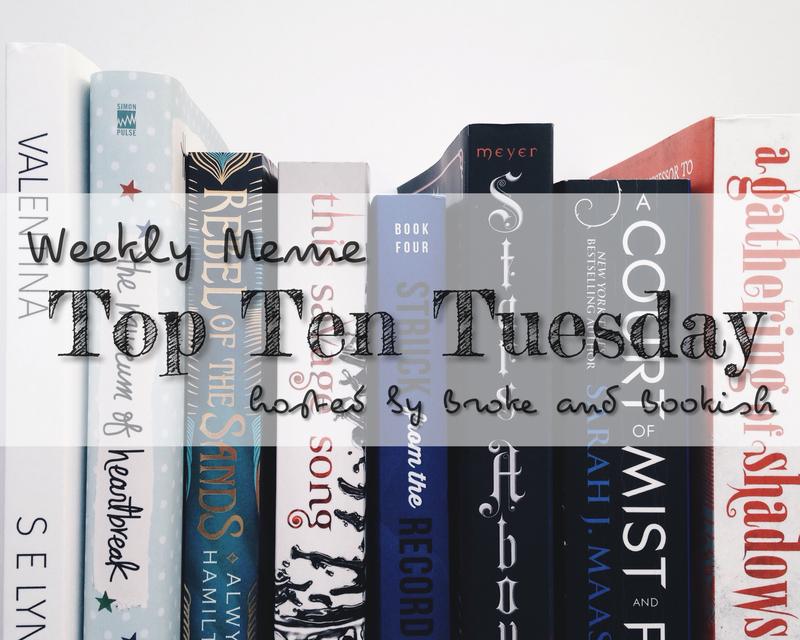 Unfortunately, I cannot list my top ten favorites because out of the 20 books I’ve read (so far), only three of them were released this year. A short story collection of The Lunar Chronicles. We get to see some back stories of our favorite characters and I felt like I became more closer to them even more. Each of the short stories are unique and outstanding. My favorites are The Queen’s Army, The Princess and the Guard, and Something Old Something New. If you love The Lunar Chronicles same as I do, I recommend you to read Stars Above. Read my full review. The sequel to A Court of Thorns and Roses. When I got my copy of ACOMAF, I read it right away. It took me so long to finish it not because I didn’t like it but because I wanted to read it slowly and enjoy every pages of it. I love this book so much! I love it more than ACOTAR. I love Rhysand and the Night Court. Sorry, I’m just fangirling now. I think you’ll understand me if you’ve read the book. Until now I can’t write a decent review of this book because my emotions are all over my head. All I can think about is the third book and how the story continues. Another one of my most anticipated books this year. The second book of A Darker Shade of Magic. This is really a great fantasy read. The story, setting, characters and writing style are all perfect. No boring moments. We get to learn more about the other Londons (especially Black London) and meet new amazing characters. Lila Bard is still my favorite here and I can’t wait to see more of her in the next book. Especially with that cliffhanger! There you go! 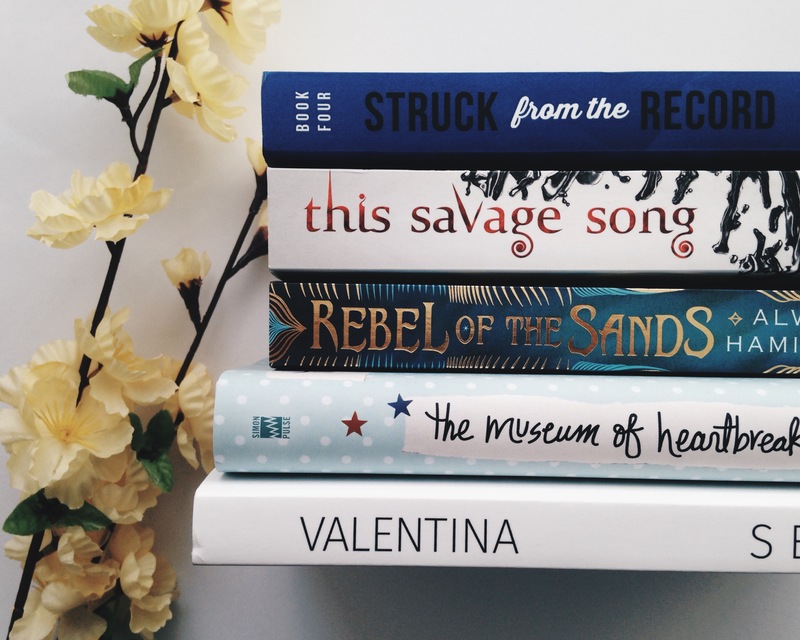 This post is a bit short so I thought of including these 2016 released books I own but haven’t read yet. 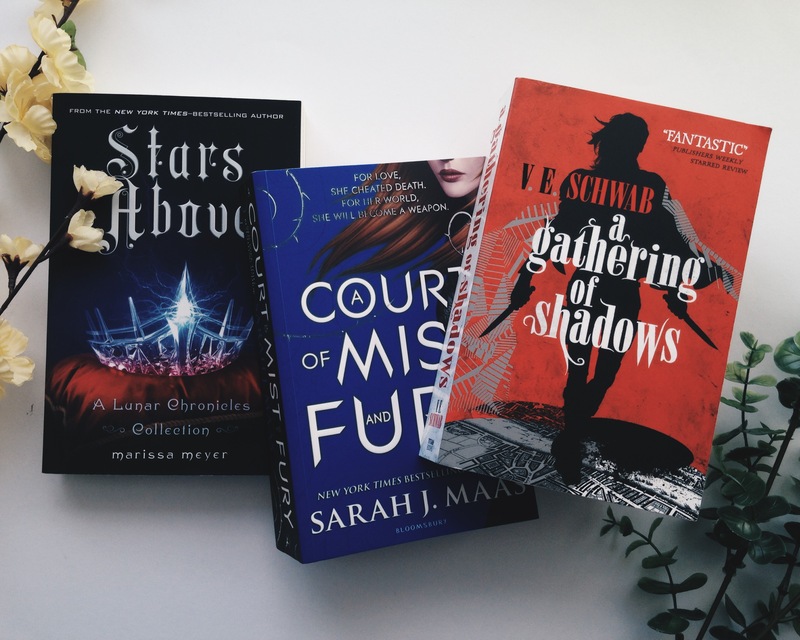 I haven’t read any of the books you listed that you have read (though ACOMAF is on my TBR) but I have read Rebel of The Sands, and it was amazing, I hope you enjoy it as much as I did. Thanks for sharing, Jo. 🙂 I’m hearing great things about Rebel of the Sands that’s why I bought it. I hope it’ll not disappoint me. I haven’t read any 2016 releases yet, I don’t usually read new releases it’s really weird but I tend to read older ones. But I heard great reviews about ACOMAF lately so I’ll be adding ACOTAR on my TBR. Great post Ate Kath!